Flowers Foods is capturing evolving consumer trends and leveraging its platform to accelerate growth. In 2001, the company sold Keebler to the Kellogg Company and in 2003, the company sold Mrs. Smith’s to The Schwan Food Company. Since 2003, FLO focuses on Direct-Store-Delivery (DSD) fresh baked foods (84% of total sales) and Warehouse-Delivery frozen baked foods (16% of total sales). Under this model, the firm grew its market cap from $418.9 million at the end of 2003 to $5.7 billion today (a 1,261% return). Baking is a business that enjoys economies of scale. Fresh baked foods cannot travel far. Building a brand has value, but a brand owner needs bakeries and distribution that are spread out geographically to monetize a brand. The company owns and operates 38 bakeries across the US that can geographically access 81% of the US population in 37 states. The fresh baked foods are distributed through 5,200 independent distributors who own rights to certain brands and geographies. Point 1 is evidenced by the 100+ acquisitions FLO has made since 1968. Typically FLO targets regional baking companies to expand its geographic reach across the US. For example, in 2012 the company acquired Lepage Bakeries to gain two bakeries in Maine and Vermont to access the New England market. Point 2 is evidenced by the $427.8 million the firm has invested in capital projects between 2009 and 2014. The goal of this capex is to improve product quality and quantity and facility sanitation. Examples include upgrading and reopening the bakeries acquired from the liquidation of Hostess Brands or upgrading shipping and logistics through implementing new technology. Point 3 is evidenced by the acquisitions to expand product offerings across brands and food types. 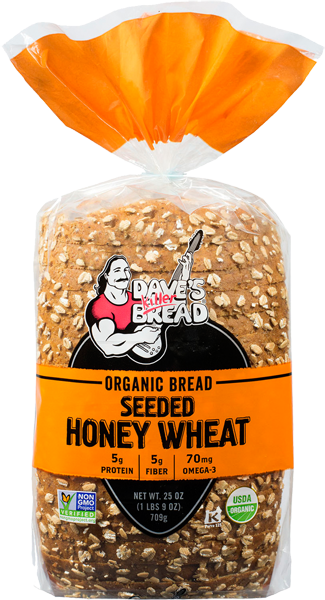 Recently, FLO acquired Dave’s Killer Bread (DKB) and Alpine Valley Bread (AVB) to target the growing organic bread market. DKB and AVB acquisitions were both accretive transactions. FLO trades at 14.4X 2015 EV/EBITDA while DKB was acquired at 11x EV/EBITDA and AVB was acquired at 10x EV/EBITDA. These brands are only available regionally today but FLO can use its platform to expand nationwide. The brand rung well with a number of generations, but it does not appeal to Millennials. 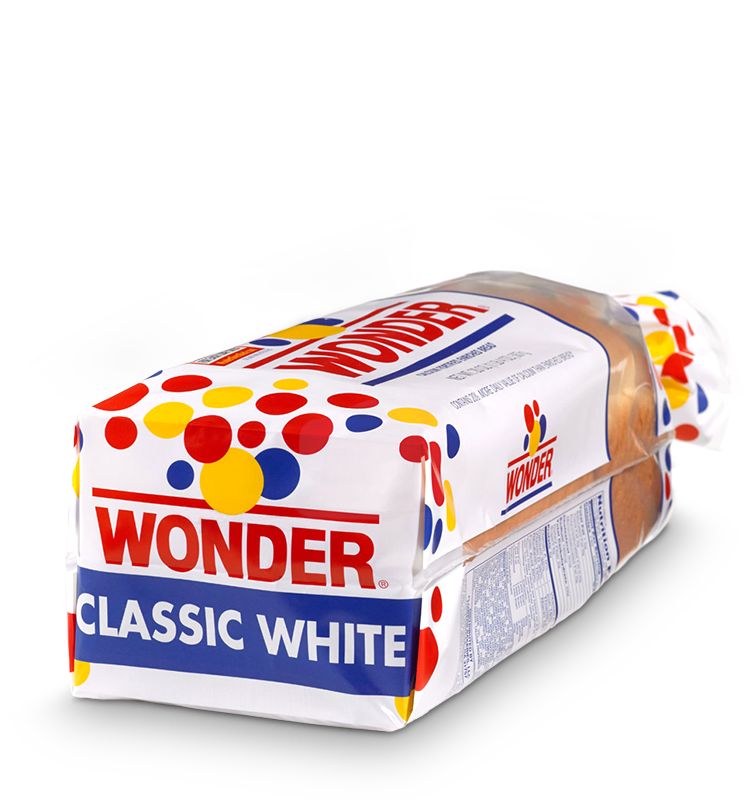 Consumers today have become health conscious and favor food they believe to be “wholesome” and “local.” Corporate logos like that of Wonder Bread no longer serve to inspire trust. The packaging hides the bread from the consumer’s view, as if there is something to hide. Colorful balloon images are no longer selling points. The brand conjures thoughts of “processed food” and “unhealthy ingredients” among Millennials. Contrast this with Dave’s Killer Bread (Exhibit 2), which FLO recently acquired. The packaging is transparent so the consumer immediately sees the bread. The labeling focuses on “organic” and non-GMO; distinctive flavors such as “seeded honey wheat;” and protein, fiber, and OMEGA-3 nutrients. The brand carries numerous flavors that range from “Blues bread with blue cornmeal crust” to “Powerseed sweetened with fruit juices” that conjure associations with high-quality independent bakeries. Matching consumer preferences as they evolve is critical to success in consumer products. Flowers Foods is very active in offering what consumers want. Revenue (ttm) was $3.76 billion, which grew only at 1.8% quarterly on a year-over-year basis. DKB is expected to contribute $165 million to 2016 sales and the brand has grown revenue at 32% CAGR over the past 3 years. AVB is expected to contribute $90 million to 2016 sales and the brand has grown revenue at 51% CAGR over the past 3 years. Flowers Foods was able to acquire faster growing assets at a cheaper EV/EBITDA price (see above transaction multiples) than its own shares and this growth should remain high as the new products are manufactured and distributed on FLO’s platform that accesses 81% of the US population. The acquisitions will be financed using cash and short-term revolving credit rather than FLO equity. This should be favorable for FLO’s multiple going forward. Flowers Foods had EBITDA (ttm) of $439.5 million, a 12.7% margin to revenue. I forecast that Flowers Foods will grow revenue organically to $3.9 billion (following the reopening of Hostess plants) in 2016 and DKB and AVB will contribute an additional $255 million in revenue. With 12.7% EBITDA margin for FLO’s core assets and 16% EBITDA margin for DKB and AVB, I forecast 2016 EBITDA at $538 million. For the valuation, I maintained the same amount of cash and increased debt by $395 million to finance the acquisitions. Assuming FLO can recover 2016 EV/EBITDA multiple to 13, just below its peer group’s 13.7, then enterprise value would be $6.992 billion. Subtracting debt of $1.088 billion and adding back cash of $46.5 million results in an equity value of $5.95 billion. Assuming share count remains unchanged, FLO shares should be worth $28.32. There are lawsuits being filed related to misclassification of independent distributors as “contractors” rather than “employees.” It is unclear at this time the merit or potential damages of these suits. An ongoing trend is for retailers to favor their private label products, which take marketshare from branded products. This has not yet affected the bread aisle, but has been a significant force in the snack aisle. The DKB acquisition was announced on August 12, 2015. The stock rose from $22.03 to $24.44 by August 17. The stock probably would have continued to rally on the acquisition news (specifically that FLO has become serious on addressing shifting consumer preferences), but macro fears relating to Chinese economic slowdown and Southeast Asian currency devaluations shook equity and credit markets and FLO declined in kind. The DKB and AVB acquisitions are strong catalysts that change the story of FLO. As a result, FLO is up 24.65% since August 1 compared to -1.16% for the S&P 500. FLO recently closed at $27.00, which leaves just under 5% of additional appreciation at the price target. This is a strong company whose stock is nearing fully valued. If we are confident in the $28.32 valuation, one way to benefit from the Flowers Food story is through an options strategy. Go long the April 25-strike call at $2.90, short the April 30-strike call at $0.70, and short the April 25-strike put at $1.00. The net cost of the position is $1.20 and has a similar risk/reward profile of a covered call position with the equity. Essentially, the position is synthetically long the stock at a cost basis of $26.20 with gains capped at $30. However, if the stock rises to $28.32 by April expiration, then the position returns 177% instead of 4.9% capital gains + 1.075% dividend being long the equity alone. If the stock is at $26.20 at April expiration, the position breaks even. If the stock is at $25 at April expiration​, then the position loses 100% of the premium invested ($1.20 per share, the same as owning the stock outright). If the stock is below $25 at April expiration​, then the position loses 100% of the premium invested ($1.20 per share) and the stock will be "put" to the investor (the investor is forced to buy the stock at $25). For example, if FLO is at $24, then the options investor will own the stock and have a loss of $2.20 per share (the same as purchasing the stock outright at $26.20). This option strategy is ideal if the investor is bullish on the stock and is willing to own the underlying shares in the downside scenario.